An upcoming heist comedy US movie Ocean 8 is full of humorous adventures that will definitely spell bound the viewers. The major cast of movie comprises eight famous characters who try to be successful at annual Met Gala of New York City. The trailer not only reveals the amazing parts of the movie, but costumes of the cast are also looking weird. 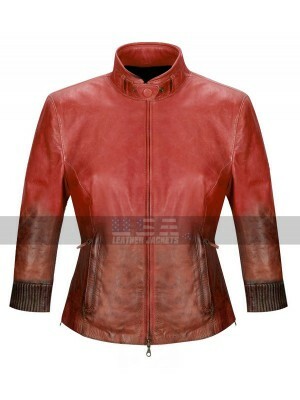 The most stunning costume was used by Anne Hathaway who played the character of a celebrity as Daphne Kluger. 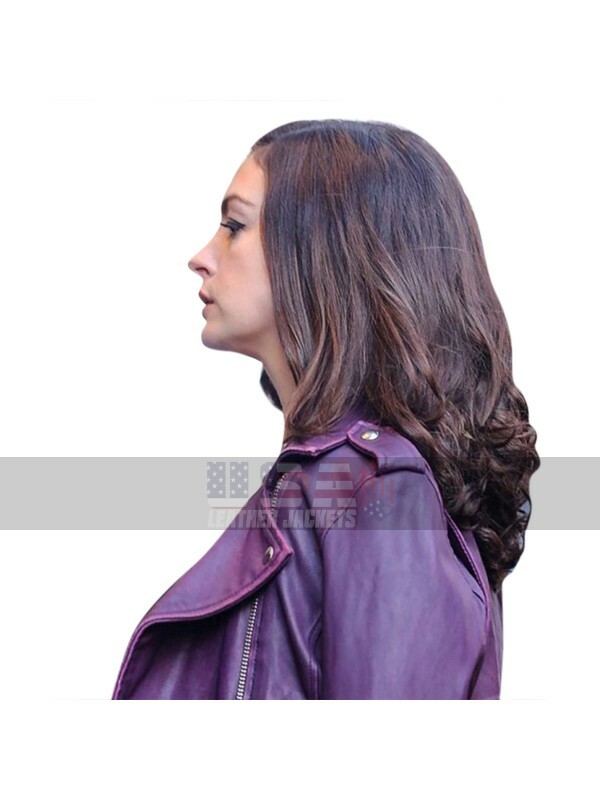 She has worn Purple Leather Jacket that is looking much pretty due to its beautiful color and short length style. 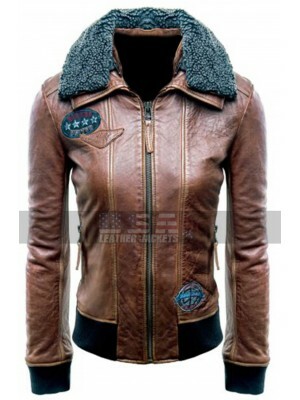 This style of jacket is one of the all-time-favorite styles that women love to wear everywhere. The front enclosure comprises zip but this is open style jacket. 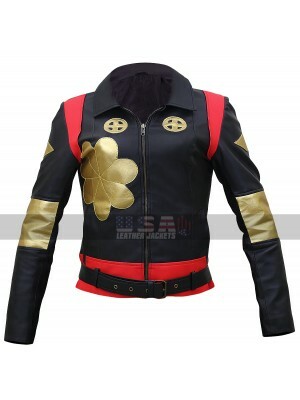 The jacket has shoulder buckles with golden studs. 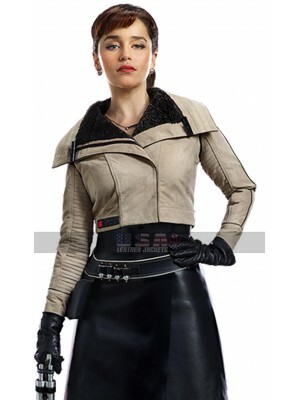 The collar of the jacket is coat style. There is one side pocket with zip closure and one pocket at front bottom side with a flip. 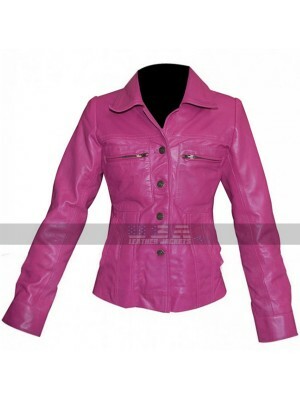 The jacket has two golden buttons; one at the top and one at the bottom. 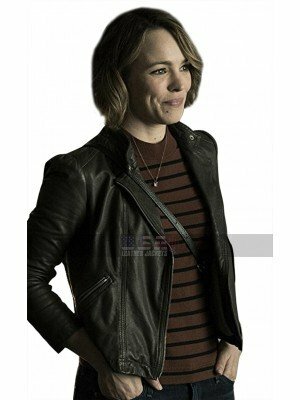 This all-season comfortable women leather jacket is available at https://usaleatherjackets.com at the affordable price. 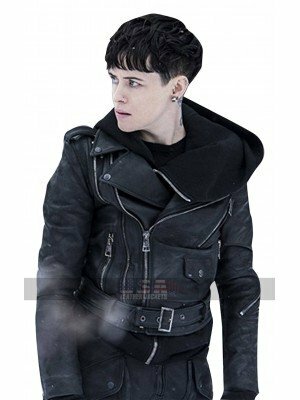 Deadpool 2 Zazie Beetz Bomber Jacket Domino is a fictiona..